What's your favorite poem? Can you recite it by heart? To celebrate poetry and “heart,” Wisconsin Poet Laureate Kim Blaeser invites the memorization and recitation of poems for an online Poetry Recitation Challenge. Those who participate will have their video recitations made available on an interactive web page. “Having poetry at our fingertips—or on our lips—as we go through our daily lives can enrich us in many ways,” says Blaeser. “Recitation was once a common art, one I’d like to help revive. When we know poems ‘by heart,’ they inhabit us and we them in a particular way. We internalize the images, the ideas, and the poem’s re-seeing of the world, we experience the felt rhythm of the language. The poem becomes another part of the vocabulary with which we can encounter and process our experiences in the world. It becomes a tool of celebration and of survival. Each poem we memorize adds to our intangible wealth,” she says. Those who would like to participate in the project should select a published poem by a poet they love and learn it by heart. They should then submit a good quality video of themselves reciting the poem from memory. Participants are asked to introduce themselves by name on the video recording as well as introduce the poem they perform with a sentence or two. This introduction of the poem should include the name of the poem and the poet. The performer might also note why the poem or poet is important to them, when they memorized the poem, or whatever else seems appropriate to a very brief introduction. If you want to make this more interesting, Blaeser suggests you challenge friends and public figures to recite a poem. Or you might plan a gathering with a group in a public place and hold a recitation event. Then submit the videos of individual recitations from your “poetry by heart” celebration. 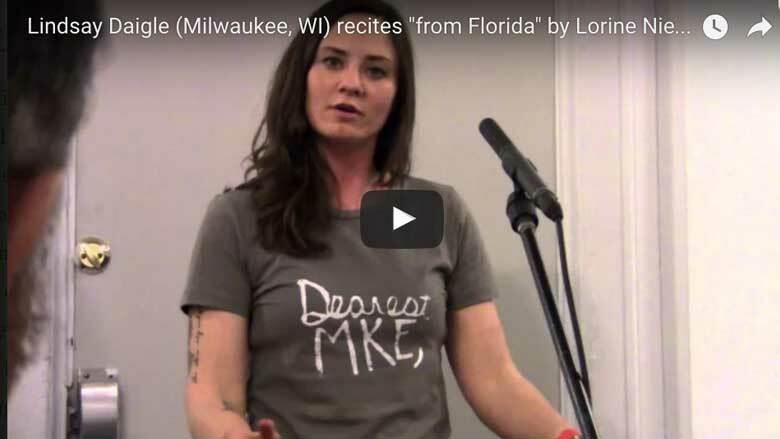 Blaeser together with members of the Wisconsin Poet Laureate Commission are also working to plan recitation events in the coming months, and she is willing to travel to events others plan. Video submissions will be considered by an editorial committee. All acceptable submissions will be posted on an interactive map of Wisconsin and made available at wisconsinpoetlaureate.org. Submissions will continue to be reviewed on a rolling basis. At the conclusion of April (Poetry Month) 2016, Blaeser reports the Commission had received several terrific submissions. Some were also collected as a part of the Woodland Pattern Poetry Marathon and others from a special recitation event held at UW–Marathon County in Wausau. Since then, more submissions have been flowing in. Add your voice to the mix, and help make Wisconsin the Poetry Recitation Capital of the U.S.
Wisconsin Poet Laureate Commission chair William Stobb has five poetry collections which have garnered a variety of awards and praises.